To get an idea of the types of posts that get the most interactions, take a look at your Klout Moments. 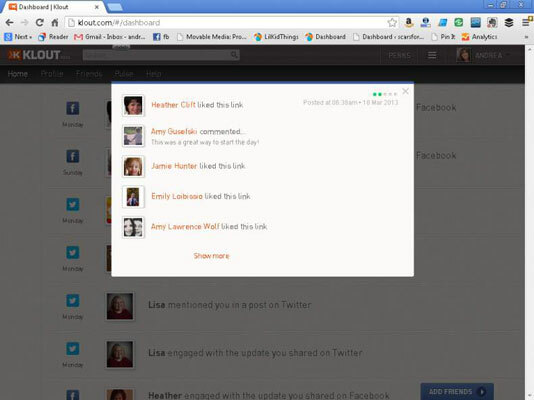 You can view your Moments either in your Klout Dashboard or your profile page. 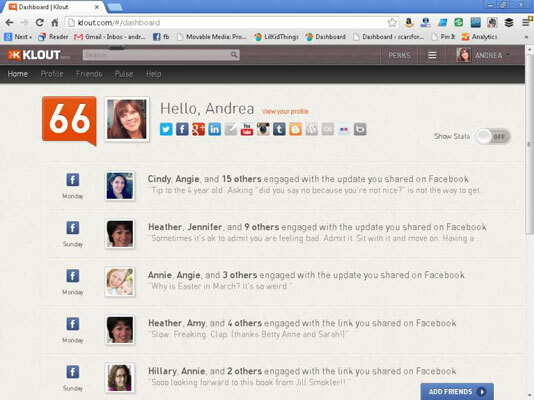 For the best engagement overview from your followers however, try the Dashboard view. 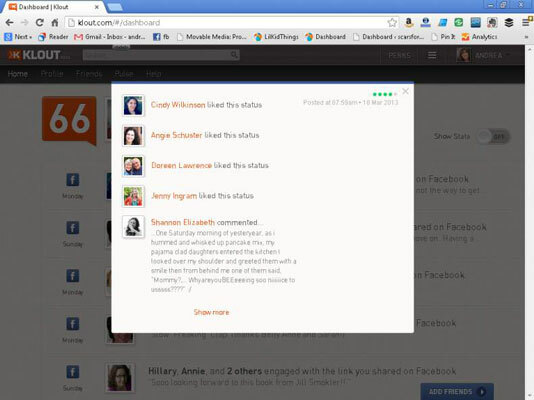 Locate your Dashboard by logging in to Klout.com and clicking Home on the navigation bar at the top of the page. Your most influential recent Moments are in the main section of your Dashboard. Moments are organized by date and social network with the original post in the main window and the comments and Likes to the right of the post. Click the View More arrow to the right of a listing to see all of the engagement for a particular Moment. As you’re reviewing your engagement, take a few things into consideration for the future. Was your post humorous? Was it text only or did it include a link or a picture? What time of day was it? Did you ask a question? On which social network was it posted? All of this information can be valuable to you for future use. Look for trends in your posts. You might find that your followers tend to respond more in the morning hours or when you post on Facebook rather than other networks such as Twitter or Google+. Of course, this doesn’t mean you ignore the afternoon or those other networks. It simply means you should maximize your efforts during your peak hours. These are the times you want to post so you can have your words in front of as many eyes as possible. Your peak times will depend on your community. Think of observing trends as a form of listening to your followers. Everybody wins. Sometimes it’s the lighthearted posts that get the most feedback. 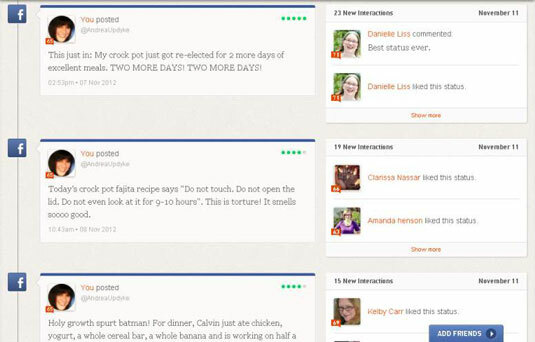 After the 2012 U.S. presidential election, there was a blog post about a Crock-Pot. This post got a great deal of engagement. It seemed to be a nice break from all of the political banter that flooded the social networks for so much of the year.